A German-Jewish immigrant himself, between 1933 and 1941 Herman Stern helped 125 Jews-- mostly relatives or friends of relatives-- flee Nazi Germany. Assisted by Senator Gerald P. Nye of Herman Stern's adopted home state of North Dakota, Stern personally raised the funds to bring and found the makeshift livelihoods to support the many refugees he aided. A one-man rescue team, in large part he used unreliable, meager depression-era proceeds from his modest dry goods business to "buy" the lives of individuals who otherwise might have perished. 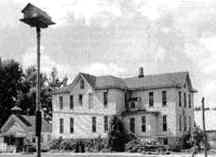 From 1939 to 1943 185 refugees from Nazi-occupied Europe found refuge at Scattergood, a hostel in what had been a Quaker boarding school near West Branch/Iowa. Among them were Jews, as well as political opponents of Hitler's regime, religious figures, artists, merchants, journalists, elderly ladies and little children. With the help of Iowa Quaker farmers and college students the refugees sought to overcome the trauma of their experiences in Europe, find a niche for themselves and build a new life in the New World.The founders of the hostel strove to rehabilitate and integrate the refugees. Reflecting their native culture and the era in which they lived, the Quakers believed that the best way to help the newcomers was to assimilate them into American society, to create "New Americans." Friends (as Quakers formally are known) sought to help their guests avoid belated suffering; the refugees sought to adapt to their new environment as a means of survival and to juggle who they'd been with new biographies they were forming. Together, Quaker and Jew, farmer and lawyer, granny and child shared a living community, the legacy of which lives on today, enriching those who know of and open themselves to it. 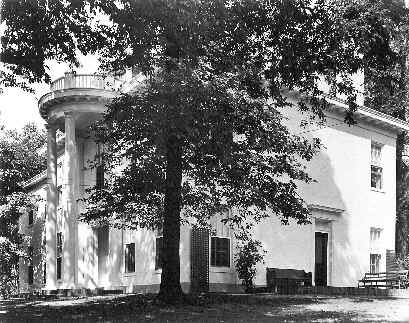 Though modeled on the hostel at Scattergood, the refugee center at Quaker Hill differed from the prototype on which it was based. Sheltered in a large, white-pillared house donated by a wealthy Quaker manufacturer, the hostel was located in Richmond, Indiana--a Midwest town of 33,000 with a large Quaker population and activist heritage, as well as home to Earlham, a Friends college. Much more so than rural Iowa, Richmond suggested the milieu typical of the industrialized, relatively densely populated Lower Midwest stretching from the Mississippi River to the headwaters of the Ohio. There, paid and volunteer staff who organized Quaker Hill hoped to more easily and fully integrate that project into its surrounding community. 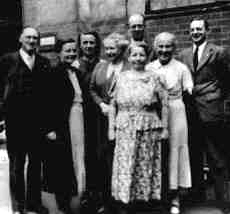 Undertaken at the request of Jewish organizations and others working with European refugees, Quaker Hill operated on the assumption that a group of people unknown to each other before might learn to live well together, and to work cooperatively and in peace and harmony. Thus, a sound, healing balance between mental and physical activity was sought to help remedy the spiritual wounds of Nazi Germany's dejected Jews. A Quaker relief agent, one-time teacher Leonard Kenworthy spent a year in wartime Nazi Germany, working with Jews hoping to immigrate. Immediately upon arriving in Berlin in summer 1940, Kenworthy noticed many differences between the U.S. and the Third Reich. No longer able to easily enjoy the comparative abundance of U.S. middleclass life and stripped of civil rights, he relearned the value of material comfort and freedom of expression. Helping a tortured people flee an institutionalized genocide unlike anything he had ever experienced, Kenworthy witnessed some of the horrific injustices unleashed by the Nazis upon the Jews.